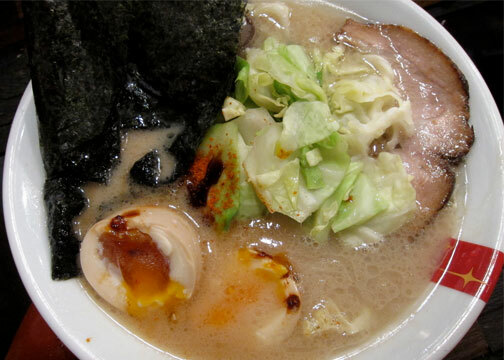 I have to apologize… for writing about ramen again. I meant for this post to go up a couple months earlier but then life happened. That and Christmas. But going through these pictures brought back such gustatory memories. Butao has been around a couple years actually; with it’s first branch located in an alley in the Lan Kwai Fong area. 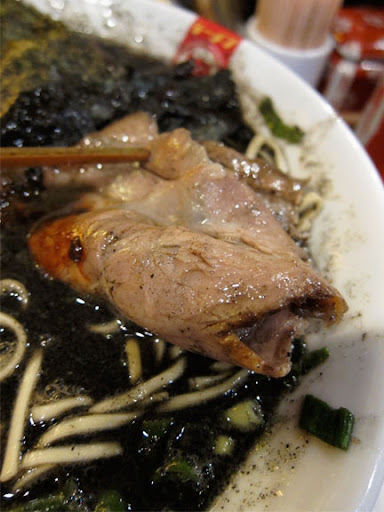 News went around of that one shophouse using about 30+kg of pork bones, heads included, per day just to make their tonkotsu broth; and the rest is Hong Kong ramen history. I have only managed to try Butao late last year at their relatively new branch in Tsim Sha Tsui. I sneaked out for a late lunch in between meetings, around 2 or 3pm, and was quite relieved to find the place had no queue. (It’s quite famous for the wait to get a bowl). 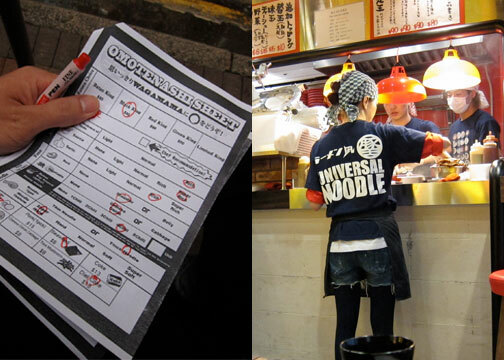 To order, you tick off several options on this detailed checklist and you hand it to the server. I wanted to try the Butao King on my first visit. Essentially their master stock. A thick, milky tonkotsu broth. It was rich and velvety. With a very balanced flavor. The onsen egg perfectly runny. I picked the shoulder over the belly part for my chasiu and I made the right choice. It was leaner and had a more intense pork flavor. I also like that you could select vegetable toppings, mushrooms, seaweed and the spice levels. Which of course I got extra hot. And the noodles, of course, extra…ehrm…hard. Overall a delicious bowl. The following day, the cool weather beckoned me to visit again. 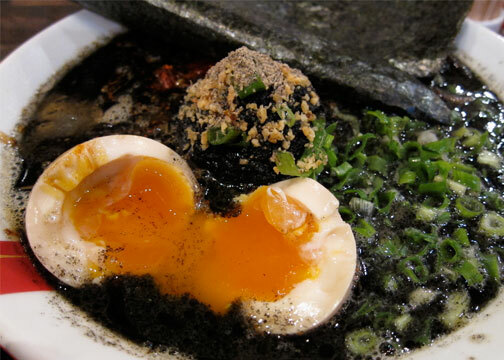 This time opting for the Black King, or their tonkotsu broth laced with squid ink. And not just a cheap dab of the stuff, I tell you. What arrives is a jet black bowl of chunky goodness. Two levels of umami from the pork bone broth and the briny squid ink. It’s topped with a scoop of squid meat along with the rest of the usual toppings (of which I go for the shoulder part again for the chasiu). I have to confess I quite like this better than the Butao King as it’s way more punchier in terms of flavor. Big ang bold yet noticeably still balanced. And again, none of that dry throat syndrome due to excessive sodium after. There was a slight wait of 15 minutes the second day I arrived but it was really no big deal. After sitting, your bowl comes rather quickly; and people generally slurp their ramen down in 5-10 minutes as well so turnover’s pretty fast. Friend-in-food Kai, a ramen addict, says I have to go back for the Red King; a spicy miso variant. And so it is noted. And glad to have tried Hong Kong’s finest (?). But is it worth the wait? For 15 minutes, I wouldn’t mind. For an hour, yes it’s a good bowl, but I’d probably come back some other time. Depending on how much I need a ramen hit. Hi Cel, it's worth the try. Thanks for dropping by.